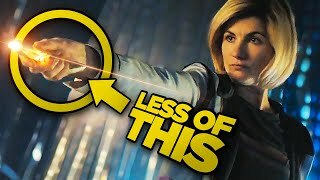 A few days ago, a video rumoured to be the leaked first trailer for Doctor Who's 50th Anniversary Special surfaced online and fans suffered (or should that be enjoyed?) a collective nerdgasm. On closer inspection, it's clearly fan-made with some shots lifted from previous episodes and the font at the end being recognisable from Photoshop. But regardless of that, it's still an astonishing piece of work. So pop your 3D glasses on, Tenth Doctor-style, and enjoy... http://www.youtube.com/watch?v=YD997i_89RM&feature=player_embedded There's a huge amount of effort and skill involved in this project, especially the shots where the Tenth and Eleventh Doctors are digitally cut out and placed against new backgrounds (something which is an incredibly laborious and time-consuming task if they haven't been shot against a blue/green screen), as well as adding a helicopter to the scenes shot in Trafalgar Square earlier this year and animating the Tardis on fire. Videos like this prove why Doctor Who is such a cultural asset to the world. It inspires fans the world over to try their hand at everything from costuming to CGI. And I think it's safe to say that this trailer has set a new high for fanvids. So Whovians, get on your computers and start editing and rendering. The geek world needs more new talent like this coming forward and making their mark. As for the mystery man behind this particular fanvid (who is currently following in the Doctor's footsteps by adopting the name John Smith), I hope we see more of his work in the future. I tip my fez to you.